What Will You Remember -- a photography blog by Elin Spring featuring reviews of photography exhibits occurring in galleries and museums throughout the Boston metropolitan area, with occasional entries from New York, Chicago and wherever else she travels. 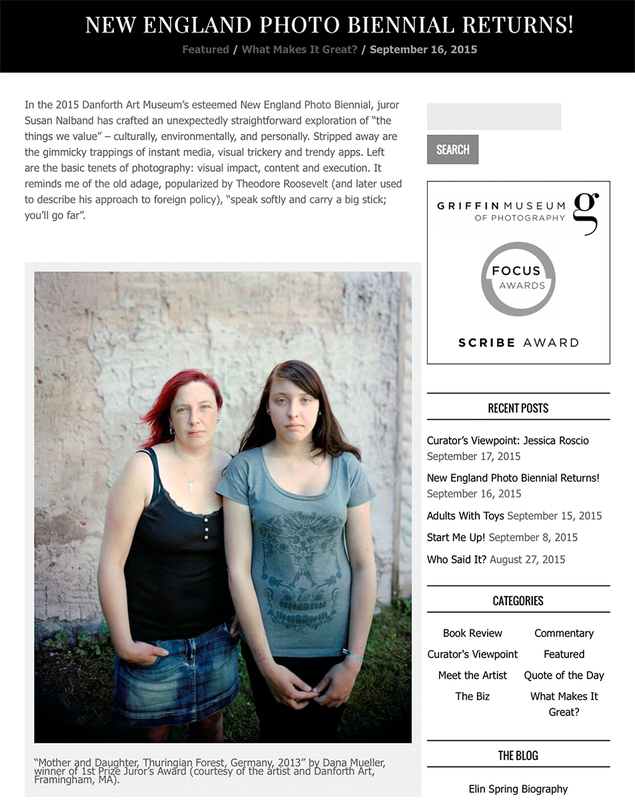 Elin reviewed the 2015 Danforth Art Museum's New England Photography Biennial juried by Susan Nalband and curated by Danforth's Head Curator Jessica Roscio. On view until December 6, 2015. I am honored to have received the 1st Prize Juror's Award for Mother and Daughter, Thuringian Forest, Germany, 2013 from the series At the Edge of the Village.